Bilingual education debate is an issue of controversy in recent years. Most teachers and parents are of the opinion that, the main objective in providing an education to students whose native language is different from English, is that they should learn the latter as well as attain knowledge in other disciplines. However, the bilingual education debate focuses on how to best attain these goals as well as about the importance of preserving the students’ original language along with English. Several methods are used by teachers to instruct students who are not fluent in writing, reading, speaking, and comprehending the English language. These methods include immersion, transitional bilingual education, as well as developmental or maintenance bilingual education. We briefly discuss each of these methods below. • Immersion – through the immersion method, the mode of instruction used is English. Teachers use easy to understand expressions that are especially intended to allow students to comprehend English while learning other disciplines as well. • Transitional bilingual education – this method comprises some instruction in the students’ native language and simultaneously, a more focused English Language instruction. The logic and reasoning behind this method is that students can smoothly develop the ability to take instructions in full fledged English within just a few years. • Development or maintenance bilingual education – this approach develops upon the students’ skills through providing instruction in their native language and teaching English as a second language. Simply stated, bilingual education implies providing instruction in two languages. Generally, bilingual education is provided in an area’s native language and in another language. 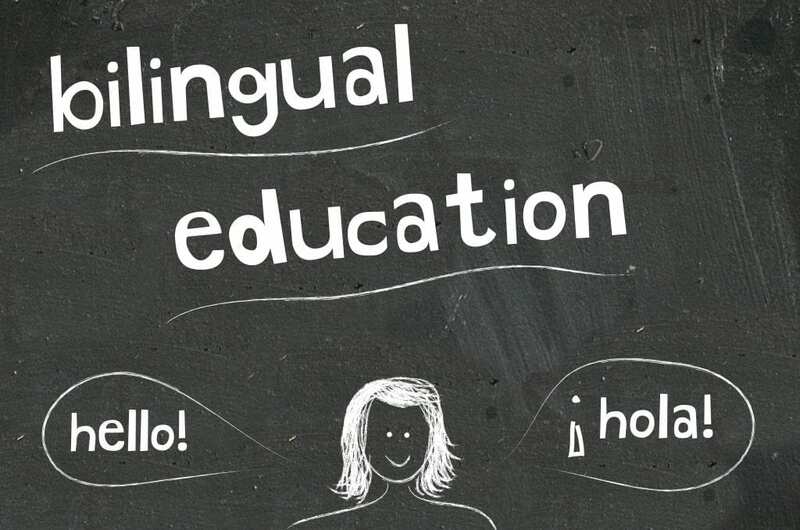 In the United States of America, bilingual education refers to the kind of education imparted to students who have limited fluency in the English Language. These students are educated in their native language and in English. The majority of the bilingual programs in the United States of America are concentrated on Spanish and English, because many non-fluent English learners speak Spanish. In recent years, language minority speakers, including parents of students of a Hispanic origin, who used to strongly support bilingual education, have become skeptical about its effectiveness. The reason behind the bilingual education debate is that increasing focus on the students’ civil rights and cultural identity is causing concern that some non-native English speaking students are not receiving an adequate enough instruction to hone their English language skills. Adding to the bilingual education debate, critics have been known to hold a rather different point of view. Organizations like ‘English First’ ask that English be made the official language of the United States and that expensive and ineffective multilingual policies be done away with. It has turned into a rather politically influenced issue and has led to an agitating bilingual education debate whether to make English the official language of the United States and if so, would it override the academic issues pertaining to bilingual educational programs. Yet there are people who, albeit less vociferous about the above mentioned issue, feel that non-native English speaking students emerge from schools with inadequate reading skills in both, English as well their native language. Low test scores are given as an evidence of this argument in the bilingual education debate. Supporters in the bilingual education debate take the stance that it takes more than one or two years to become skilled in any second language. They also point out that there is a dearth of qualified, fully bilingual instructors. According to this group of people, the issue with bilingual programs stems from teaching, and not the content or curriculum of the subject matter. They support those programs which can be made more effective through employing better qualified bilingual teachers. Additionally, they say, that students should not be kept in bilingual learning environments longer than is necessary. Read more about this hot topic, the Bilingual education debate, successful programs in the US and new options.